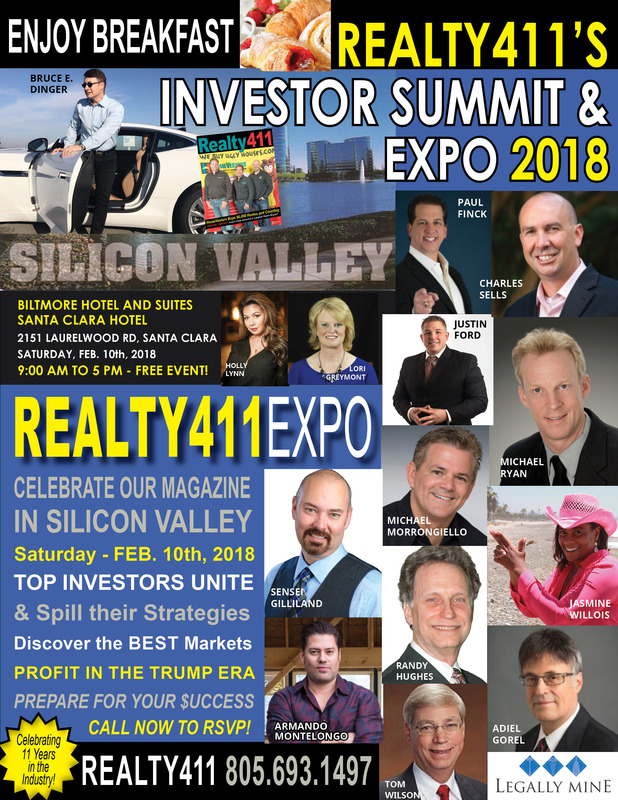 Realty411 expos are created and hosted by a California accredited investor with 25 years experience in print journalism. Realty411‘s publisher has owned property and invested in California since 1993 and is an active accredited investor with both in state and out of state rental properties. Get in the RIGHT Mindset for 2018 and Beyond! Learn FOREX – the Largest Economy in the World, which Trades Trillions of Dollars PER DAY!! FIND THE FUNDS YOU NEED FOR YOUR REAL ESTATE DEALS, BUSINESS EXPANSION, PLUS LEARN MULTIPLE STREAMS OF INCOME & MORE! Learn Tips and Strategies on TOP Real Estate Niches: Fix ‘n’ Flip, Wholesaling, Crowdfunding, Buy & Hold, Local & Out-of-State, Private Lending, Commercial & Residential Real Estate, Notes, Credit Optimization, Trust Deeds & More. 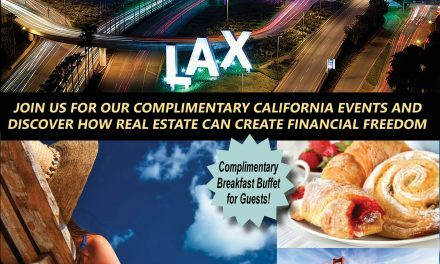 Learn Investor Tips to WIN in Real Estate in 2017 at this Event, Join Us! No matter what, please mark your calendar so you don’t miss out on this fantastic real estate and finance expo. Our goal is to provide fantastic resources to help you learn about real estate or grow as an investor. We know your time is valuable, so we have wonderful books, magazines, and other gifts to give away. Build NEW friendships and business collaborations with some of the industry’s TOP Leaders. Plus, guests will discover new resources to FUND deals. Joining us are incredible speakers, sophisticated investors, & VIP Industry Leader. Adiel Gorel is the CEO of ICG, a prominent real estate investment firm located in the San Francisco Bay Area. Since 1983 he has successfully been assisting thousands of investors with purchasing U.S. properties. Through ICG he has personally invested in hundreds of properties for his own portfolio and was involved in the purchase of over 5,500 properties for ICG’s investors in Phoenix, Las Vegas,Jacksonville, Orlando, Tampa, Dallas, Houston, San Antonio, Austin, Oklahoma City, Salt Lake City, to name just a few. Charles Sells began his career investing in distressed real estate at the age of 23. By 26 and with only $4,000 to get started, he formed his first distressed real estate investment servicing company, which known today as The PIP Group, LLC. 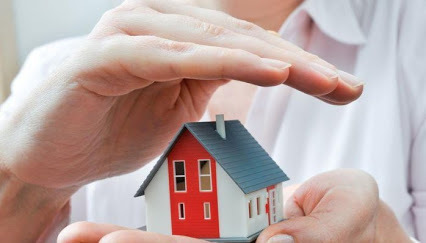 The PIP Group, LLC., provides a wide range of services to both individual and institutional investors (foreign and domestic) interested in investing in distressed real estate such as; tax liens, tax deeds, and bank foreclosures. The PIP Group provides its services to investors with portfolios ranging in size from $50K to $150MM. With close to 20 years in business and nearly 1,000 clients)served, (half of which invest using a self-direct IRA The PIP Group is an industry leader and well-known provider to investors worldwide. Charles Sells and The PIP Group have appeared on various television broadcasts and are often invited to speak at industry related conferences and panel discussions. Today Sensei continues to be sought out by real estate investors, gurus, and business owners under several brands, for practical, value packed, actionable advice and consulting on investments, business building, and creative financing..
Tom K. Wilson began building his personal real estate portfolio in the 70’s. He first invested as a part-time activity, and then after thirty years managing manufacturing and engineering in some of Silicon Valley’s pioneering technology companies, he put his business and management experience toward full-time real estate investing. Mr. Wilson has bought and sold more than 3,500 units and over $250 million of real estate, including three condo conversion projects, nine syndications, and eight multifamily properties. He founded and owns Wilson Investment Properties, Inc., a company that has provided over 500 high cash flow, high-quality, rehabbed and leased residential properties to investors. 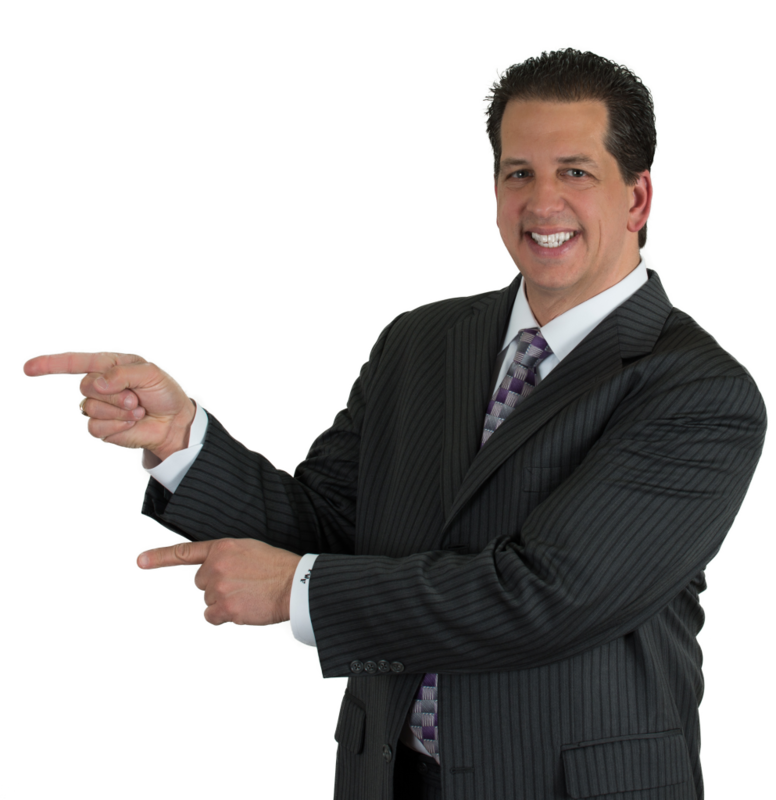 Active in real estate associations, Mr. Wilson is a frequent speaker on real estate investing where his candor and competency makes him an audience favorite. As part of his outreach, Tom provides mentoring to new investors. His weekly radio show Real Estate Radio Power Investing provides extensive education on real estate investing. ly wage. Bank savings and financial security was what only the rich had. He was doomed for financial failure and unhappiness for the rest of his life. Bruce Dinger is many things: A serial entrepreneur, a professional trader, a real estate investor, a hedge fund manager, a public speaker, an educator. Most importantly, he is a wealth builder. Bruce Dinger rolled into real estate with an international finance background. Fluent in Mandarin, this Bay Area-based hedge fund manager invests nationally and globally. Bruce is many things: a serial entrepreneur, a trader, a financial advisor, a real estate investor, a hedge fund manager, a public speaker, an educator. Most importantly, he is a wealth builder. With undergraduate degrees from National Taiwan University and San Jose State University in Chinese, Asian Studies and International Business, and an MBA from Regis University,. With 30 plus years of experience in the stock markets and real estate investing, Bruce brings a unique and diverse background and business acumen to the marketplace. While Bruce may be a professional investor of both stock and realty markets, he is primarily a risk manager in everything he does. He leverages his knowledge of the markets to maximize profitability, while minimizing exposure to negative influences. Bruce’s passion is to create generational wealth using multiple revenue streams, and his ethos is to impart his knowledge through mentorship programs and public speaking to others. Bruce’s ability to unlock the mysteries of the financial markets have made him a dominating force in the investing world. Jasmine has been a licensed real estate agent in California since 2004 and continues to do traditional sales and short sales for a small group of clients. With a reputation for the judicious use of resources and result oriented management style her experience with short sales has opened many doors. Combining executive leadership skills, rare team-building strengths and a strong foothold for financial services, Jasmine offers a unique blend of experience. She received her B.A in Economics from California State University at Long Beach, and enthusiastically accepted her first job as an equity trader with Joseph Stevens, in New York, NY. She emotionally ended her 7-year long career on Wall Street as financial advisor with Morgan Stanley Dean Witter after losing colleagues to the world trade center attacks. An advocate for responsible investing she spends her time educating her audience on conservative real estate cash flow strategies and the abundance of opportunities that lay out side of their backyards. She offers free education for novice note investors at her Note Lunch & Learn hosted every Thursday from12 noon to 1pm at her Orange County office. Private Money 411 ~ Creative Financing at It's Best.